TRIG | 2018 TRIG Holiday Party! 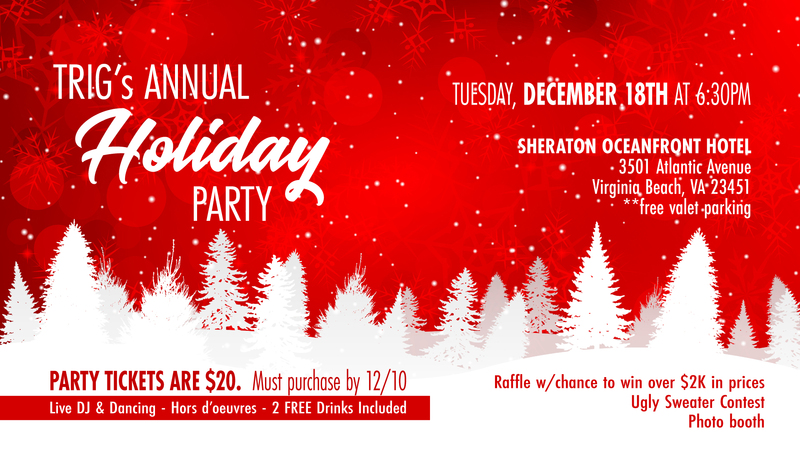 Join us for the 2018 TRIG Holiday Party! Amazing people! Great food! Dancing and Prizes! Not to mention the Ugly Sweater Contest which just gets better and better every year! Don't Miss Out! Limited Tickets Available - Get your tickets Now!! This event is limited to the first 120 people. - Only 1 seat left.